A New York Times Notable Book of the Year, a Scientific American Best Book of the Year, and a Finalist for the National Book Critics Circle Award. 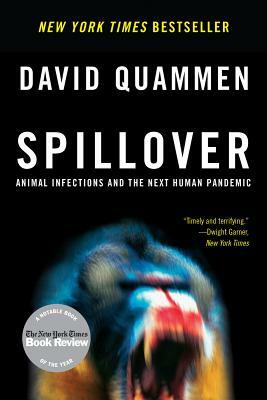 Ebola, SARS, Hendra, AIDS, and countless other deadly viruses all have one thing in common: the bugs that transmit these diseases all originate in wild animals and pass to humans by a process called spillover. In this gripping account, David Quammen takes the reader along on this astonishing quest to learn how, where from, and why these diseases emerge and asks the terrifying question: What might the next big one be?